Let’s be honest, Scotland does not have the best track record when it comes to international football. That is… unless you look to the Homeless World Cup. Next week in Amsterdam, the men’s side will look to make history with a third victory at the annual tournament. The Scots first lifted the coveted trophy in 2007 in Copenhagen and then again in 2011, when captain Robert O’Hare led his team to victory in Paris. 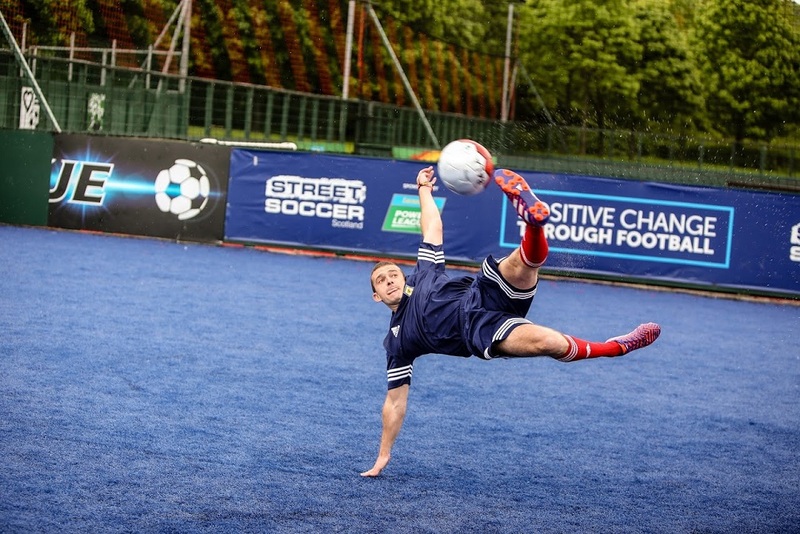 Today, Robert is employed as a full-time coach by Street Soccer Scotland. He’s now pitchside, giving this year’s squad some final words of advice before they take on Northern Ireland in a friendly match in Edinburgh. It’s a closely-fought contest, with the visitors edging a final 2-1 win on penalties. Despite the loss, Team Scotland is still determined to give their all at this year’s tournament, which kicks off this Saturday. “We’ve got a really good team and really good coaches. Obviously we’re a bit disappointed today, but we learn from it and move on,” says player Joe Crawford. Joe has overcome a 16-year drug addiction, thanks in part to the support he receives from his team mates and peers. The 33-year-old, originally from Greenock, was first introduced to Street Soccer Scotland while he was in rehab. He says he’s been clean and sober for 18 months now, ever since he started attending drop-in sessions in Glasgow. “I came from nothing. I wasn’t really living, just existing from day to day and doing drugs. I didn’t have anything good in my life just all. Sometimes I cannae believe how much my life has changed,” he says. His teammate Liam Ney, who is currently homeless and staying at a hostel in Dundee, agrees. “All the guys who work here have either been through it or know exactly what’s about and just try to help you as much as they can,” he says. “This is one of the best organisations out there. They’ve got lots of courses that can totally change lives. 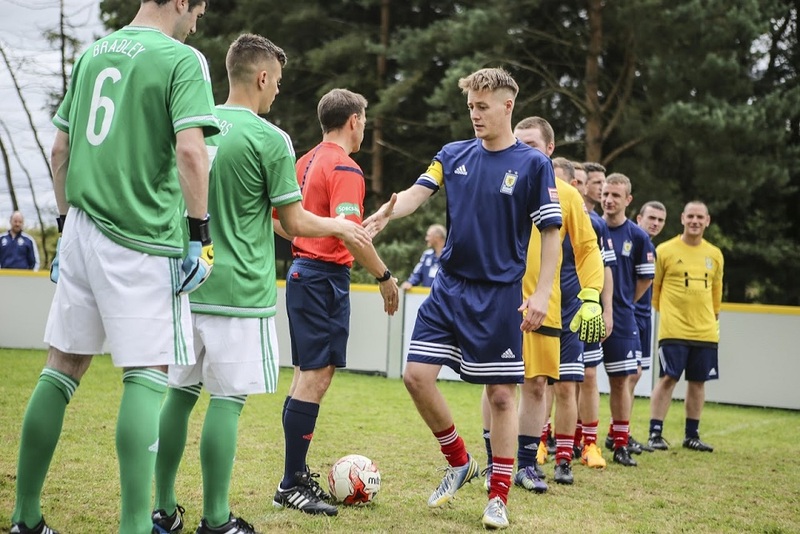 When they take to the pitches in Amsterdam’s Museum Square, the Scotland squad will face tough competition from 67 teams from around the world – every one of them hungry for victory. Belfast boy Gerard Toner says a win against the former champions is a big confidence boost for the team from Northern Ireland. 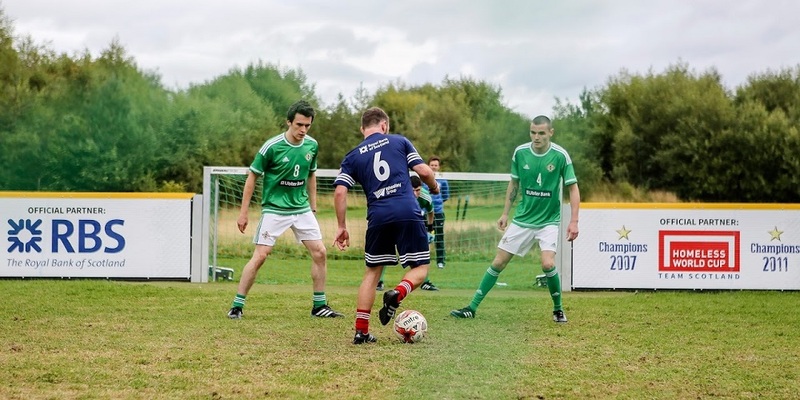 The 24-year-old joined his local street soccer team seven months ago, after spotting a poster about the organisation in the hostel where he stays in the Northern Irish capital. This year’s tournament, which runs from 12-19 September, will welcome over 600 players from around the world, including more female teams that ever before. Jodie McEwen was the only woman on the pitch when she attended her first drop-in session 18 months ago. 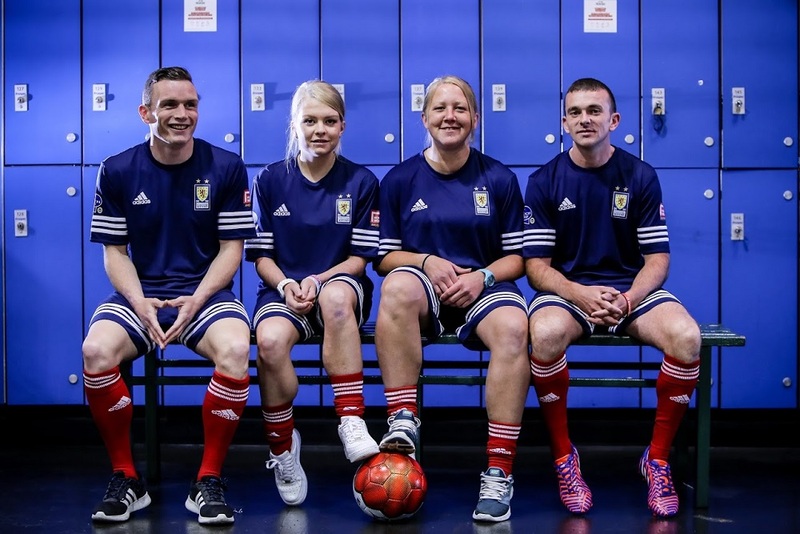 Now she and seven other players have formed the second ever women’s team to represent Scotland at the Homeless World Cup. “There’s stigma attached to women’s football so hopefully we can go over there and show them that we’re just as good as the guys,” says the 22-year-old from Kilmarnock. Jodie first became homeless when she was 15. She spent years moving between hostels and secured tenancies while she battled alcohol addiction. Now she’s put all that behind her and is looking forward to Amsterdam and gaining her coaching qualifications after the tournament. “I’m excited and nervous… when I think about it too much I feel like I’m gonna greet!” Jodie admits. That said, Jodie is convinced that this is one World Cup in which Scotland is a strong contender. She is confident her team has a fighting chance. “The team’s been giving it our all on and off the park. We’re in it to win it,” she adds. Follow Homeless World Cup stories right here at insp.ngo every day from kick off tomorrow!